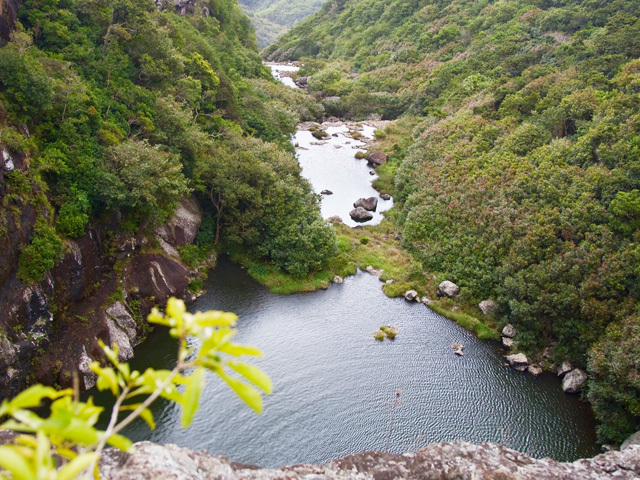 The Tamarind Falls Reservoir, Mauritius is a haven for nature trekkers, bird lovers and adventure sports enthusiasts. Roaring with the spirit of insurmountable power, Tamarind Falls is one of the most prominent scenic attractions in Mauritius. Due to its, at least, seven simultaneous waterfalls, it is also called Seven Cascades or Tamarin Falls. An exhilarating yet tranquil destination with exotic flora and fauna, a day at this Falls is a soul-enriching experience. The Tamarind Falls Reservoir is ideal for trekkers, bird watchers, and adrenaline junkies. 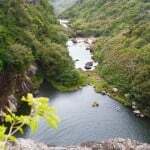 The Tamarind Falls Reservoir, Mauritius is a haven for nature trekkers, bird lovers and adventure sports enthusiasts. If the outdoors is your second home, then this venue will not disappoint you. With a variety of activities like hiking, canyoning, cliff jumping, bird watching and swimming, this place invigorates the mind and body. The Tamarind Falls is usually a day-trip so make sure you start early in the morning and take enough food and water as it is difficult to find a snack bar, once you are in the difficult terrain. Don’t forget to carry sunscreen and mosquito repellant creams as the forests are notorious for tropical mosquitoes. It is advisable to get a guide if you are visiting for the first time. Guides are usually available from the Henrietta village or across the small restaurant from the bus station leading to the Falls, and charge around MUR 250 per person. You can also have the guides from 7 Cascades Hotel. It is a steep, albeit rewarding walk, to the top of the waterfalls. This Tamarind Falls hike goes straight through the bushes, over some loose rocks, so it is not meant for very senior citizens or small children. Dense trees and colorful fauna abound, leading to a breathtaking hiking experience. As one reaches the top of the waterfall, the view unfolds in the form of the seven steps of the waterfall, each with its naturally formed basin. 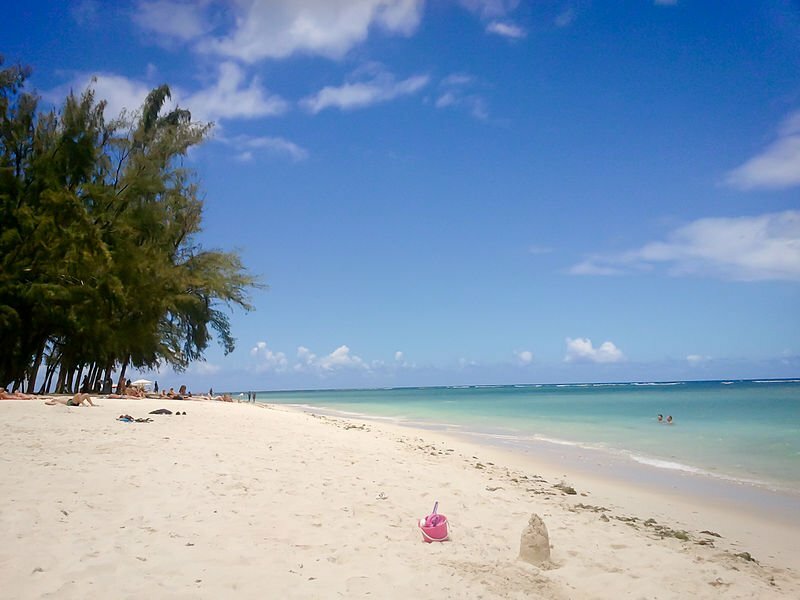 Once in Mauritius, this is a sight one cannot afford to miss. Tamarind Falls gets its name from Rivière Tamain from where it originates. This area of around 67 sq. km. was preserved in June 1994. With a variety of activities like hiking, canyoning, cliff jumping, bird watching, and swimming, this place invigorates the mind and body. Cliff Jumping – Extreme sports lovers would have a wonderful time cliff jumping. It is advisable to get a guide if you are a first-timer. Ater a steep and a rewarding walk to the top of the waterfalls, you jump off the cliff into the water about 10 meters below. Hiking – A full-day hike through the reservoir and steep rocks continues for six hours. The difficulty level of this hike is moderate and minimum age requirement is 12 years and above. 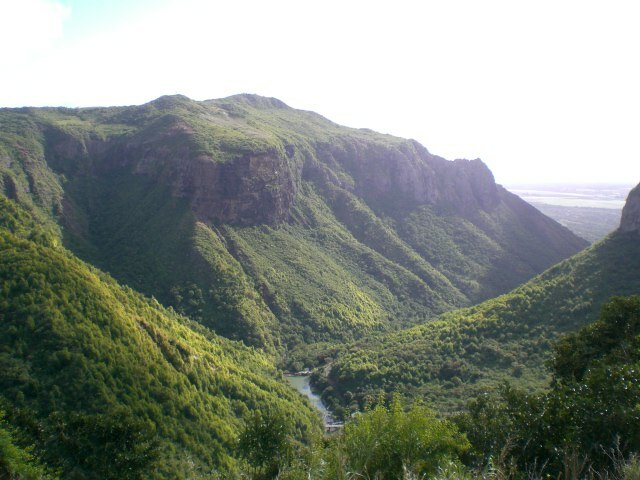 A 60-m-high vantage point next to the seventh fall offers a panoramic view of the basin and surrounding tropical forest. Swimming – The sparkling water at the Tamarind Falls Reservoir is the perfect spot for swimming. Forget your worries, as you will find your tension wash away in the cool calm spring. Canyoning – Seven meters of jumping, 15 meters of abseiling, and around 30 meters of freefall sum up the canyoning experience. If you know swimming and have your climbing gears booked, then wait for the adventure to begin from the reservoir gate. Birdwatching – The Falls are ideal for birdwatching as birders can spot Mauritius Kestrel, Pink Pigeon, and Echo Parakeet among many other colorful tropical birds nesting around the Falls. The Tamarind Falls is a place of unparalleled beauty. As you look up from the basin below, the water appears to be falling from the clouds. The flowing cascades with their deep blue waters entice every weary traveler to take a dip into their serene purity. Tamarind Falls are situated in Black River Gorges National Park near Henrietta village in southwest Mauritius. By Air – From the SSR international airport of Port Luis, you can rent a car for the 34-km ride. It takes approximately 40 minutes via M2 to reach the Tamarind Falls Reservoir. 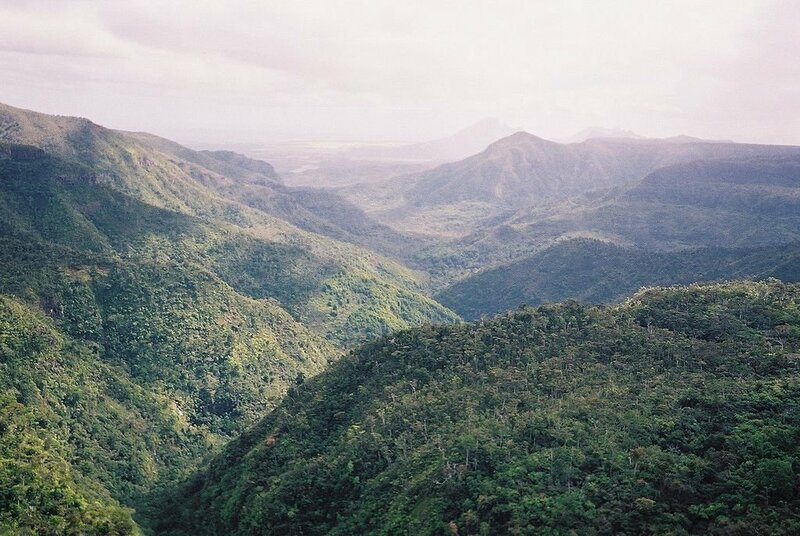 By Road – Either take a bus or settle for a car from Curepipe or Quatre Bornes town to Henrietta village near the falls. The Falls are just a short walk from Henrietta. 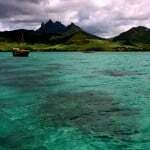 Owing to their proximity to Black River Gorges National Park and Caela National Park there are many preferred options. The 7 Cascades Restaurant Bar & Lodges is the nearest eating joint located within 2 km from the main lake reservoir. It’s open all days from 9:00 a.m. to 11:00 p.m. and serves special delicacies on weekends. 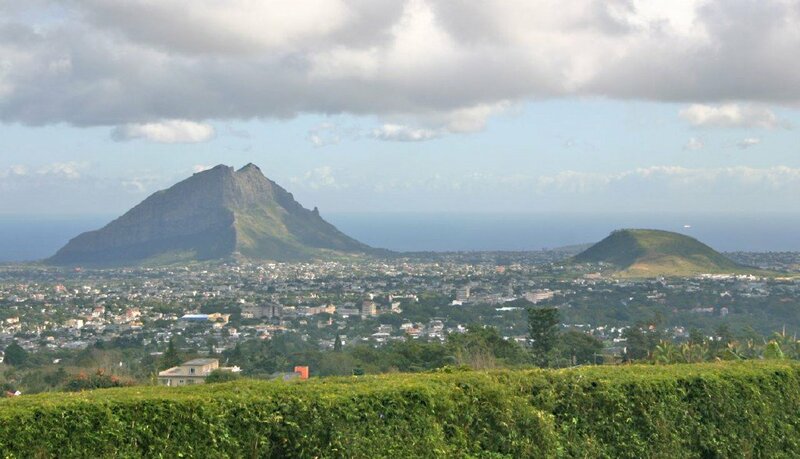 Even though Mauritius is a hot and humid country, the climate in the central plateau is cooler. Consequently, Tamarind Falls records a cooler temperature because of its location inland. May to November consists of dry, winter months, while November to May is hot and wet summer months. This is also the time that rainfall occurs in the Tamarind Falls, thus making it a shrine of captivating beauty. It is better to trek the Falls this time as in the dry months, the Falls loses part of its charm. However, trekking during the rainy season also has its challenges and so it is best to go for professional organized hiking tours. Tamarind Falls is also known as ‘Sept Cascades’ or the ‘7 Waterfalls’. These are seven steps to the waterfall sliding in luxurious Cascades and accumulating at a basin below. With a height of around 290 meters, the Falls are the highest in Mauritius. Its steepness and water power have been utilized in the generation of electricity through a hydroelectric power plant. Rivière Tamarin is the outflow of the country’s largest lake, Mare aux Vacoas, which lies just 2 km southwest to the Falls. Located an inland central plateau, Tamarind Falls are considerably cooler than tropical beaches of Mauritius. Since it is a one day-trip to Tamarind Falls, it is best to visit early in the morning. Pack enough provisions and water as it is difficult to find food joints in the difficult terrain. Don’t forget to carry sunscreen and mosquito repellents as the forests are notorious for tropical mosquitoes. For hikers, climbing gears and safety equipment are provided along with qualified guides. Since this, a natural and protected site, avoid carrying plastic bags, cigarettes, and non-recyclable waste.